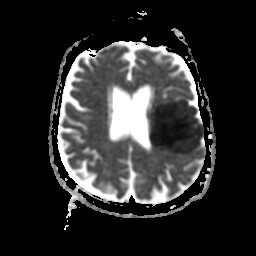 History: 65 year old male with acute onset slurred speech and right hemiparesis. 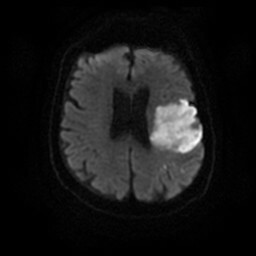 Susceptibility vessel sign: Single axial T2*-weighted GRE MR image through the brain shows a focus of susceptibility (the susceptibility vessel sign) in the left middle cerebral artery. Left MCA stroke: DWI of the brain in the same patient shows increased signal (restricted diffusion) in the distribution of the left middle cerebral artery. Left MCA stroke: ADC map in the same patient shows decreased signal (restricted diffusion) in the corresponding region of increased DWI signal, compatible with ischemic stroke. 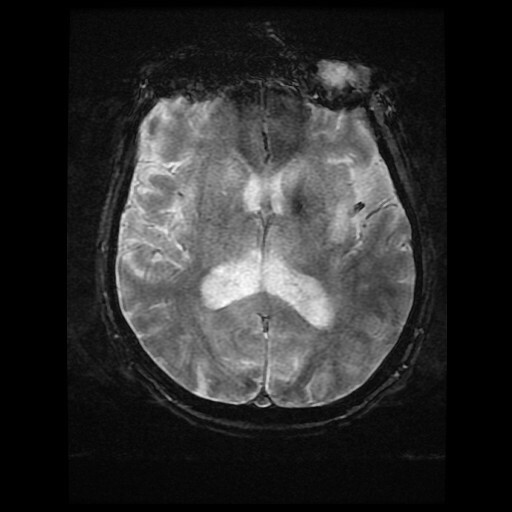 The susceptibility vessel sign is produced by the presence of deoxyhemoglobin within clot obstructing the left middle cerebral artery in this patient. Some articles have suggested this indicates cardioembolic stroke as an etiology.